September’s birthstone is the beautiful Sapphire. In Greek, “sapphire” means “blue stone” which is where the precious gemstone got its name from. Keep reading to find out more about this month’s beautiful birthstone. This precious gemstone can be found in India, Myanmar, Thailand, Vietnam and more. The origin of the stone can affect its value as much as the 4 C’s can. Sapphire is a corundum, which is the same family as the Ruby. In fact, the only difference between the 2 gemstones is their colour. The stones become coloured when other minerals become present during the formation process. A lot of aluminium must be present to form a Blue Sapphire. Other colour variations are created when another mineral seeps in as the stone is forming. As mentioned before, Sapphires come in every colour except red. Some Sapphires are even colourless and have been used to imitate diamonds. 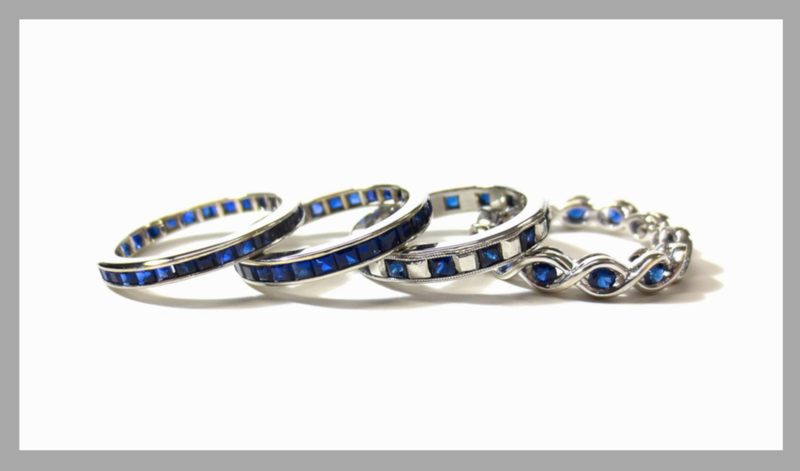 Out of all the colour variations, blue is the most desirable colour of Sapphire. The most attractive shade of blue the stone can be is known as “cornflower blue”. Recently, heat treatments have grown in popularity. This is because the process intensifies the colour of the gems to achieve the most wanted hue of blue. On the Mohs scale, September’s birthstone is a 9, making it the second hardness gemstone, after the Diamond. Because of its durability, Sapphire is also highly valued in industrial applications. It’s uses vary from watches and electronics to scientific instruments. Blue Sapphire has long represented a promise of honesty, sincerity, integrity and loyalty. Ancient Greeks wore the stones for guidance because they believed it would help them seek answers from the Oracle. Sapphire is not only the birthstone of September. It is also gifted for 45th wedding anniversaries. It's said that this blue gemstone brings offerings of fulfilment and joy, which may be why it is such a popular gift.